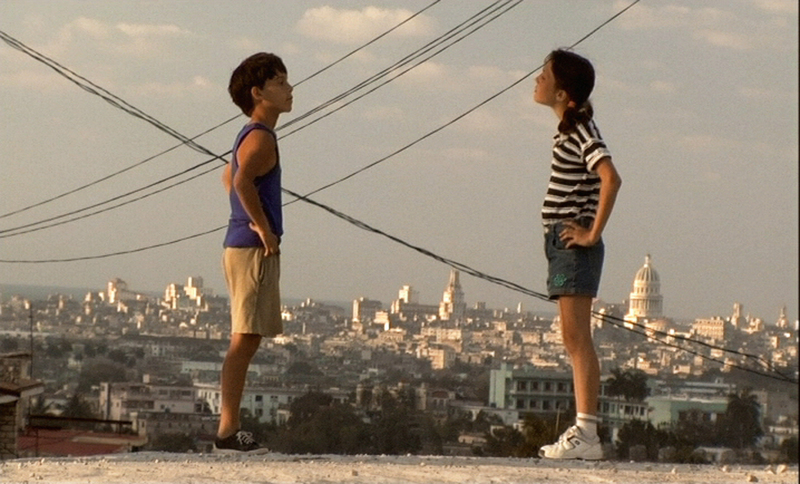 Viva Cuba (Cuba, 2005) is an independent road movie fairy tale that tackles localized Cuban problems from the literal point of view of the country’s children. The film lowers the camera to the eye level of its protagonists, Malú (Malú Tarrau Broche) and Jorgito (Jorgito Miló Ávila). Directed by Juan Carlos Cremata and Iraida Malberti Cabrera, and written by Cremata and Manolito Rodriguez, Viva Cuba was the first Cuban film to be awarded the Grand Prix Écrans Juniors for children’s cinema, at the 2005 Cannes Film Festival.